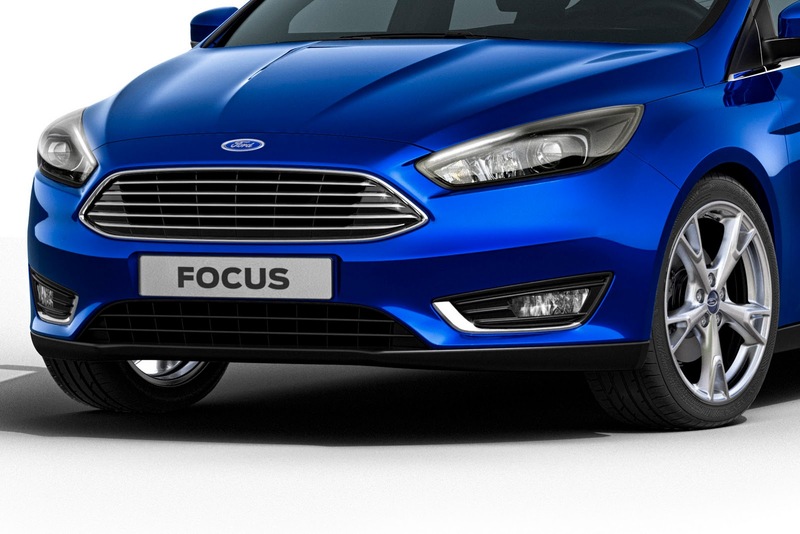 Say what you want to say about Ford’s new corporate grille and its likeness to Aston Martin’s shield, but I think it looks good on the refreshed Focus that was officially revealed today, affording the compact model a more matured and less catfish-like snout along with a hint of aggressiveness. 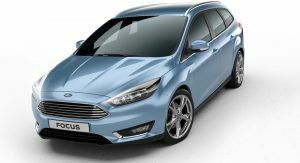 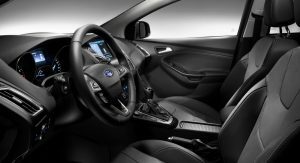 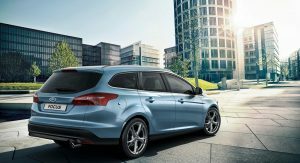 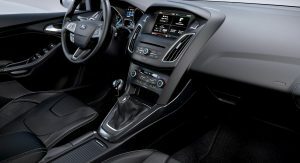 We don’t have anything on the sedan yet, as we presume that Ford is holding back its premiere for the New York Auto Show in April, but don’t expect anything different than what you see on the five-door hatchback and the Estate (or Wagon) that will have their world debuts at the Geneva motor show in early March. 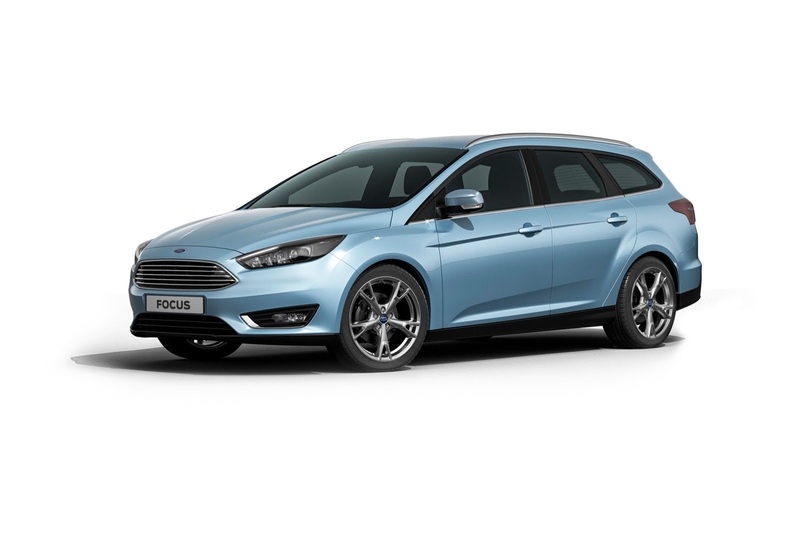 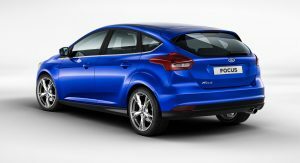 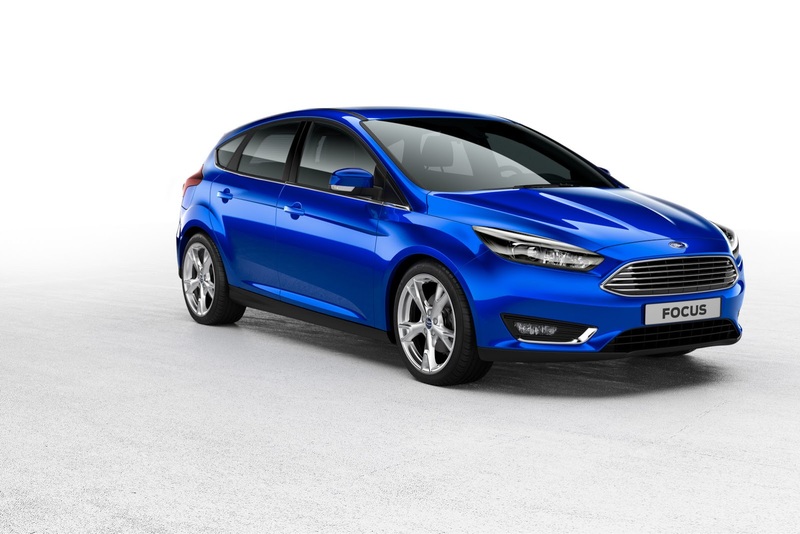 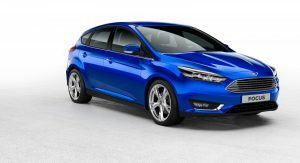 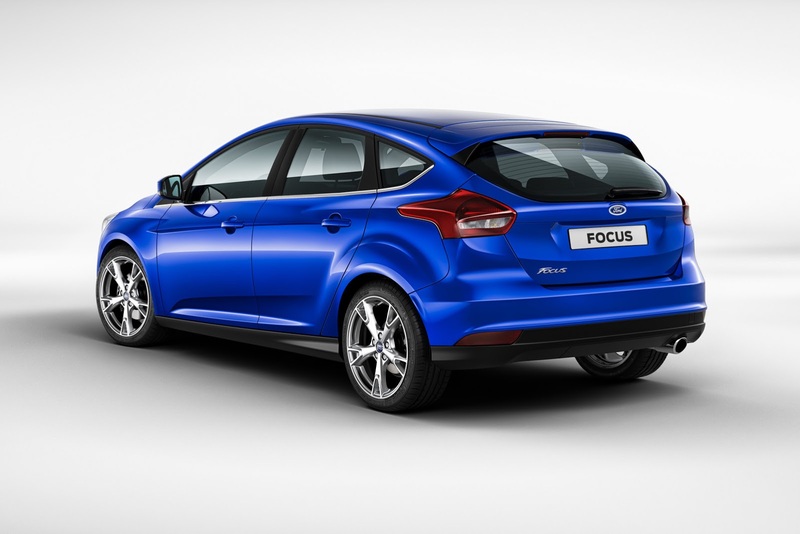 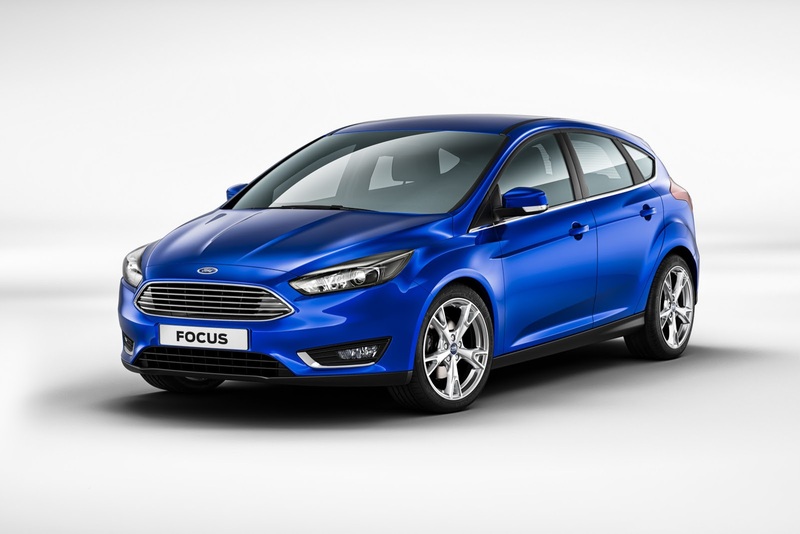 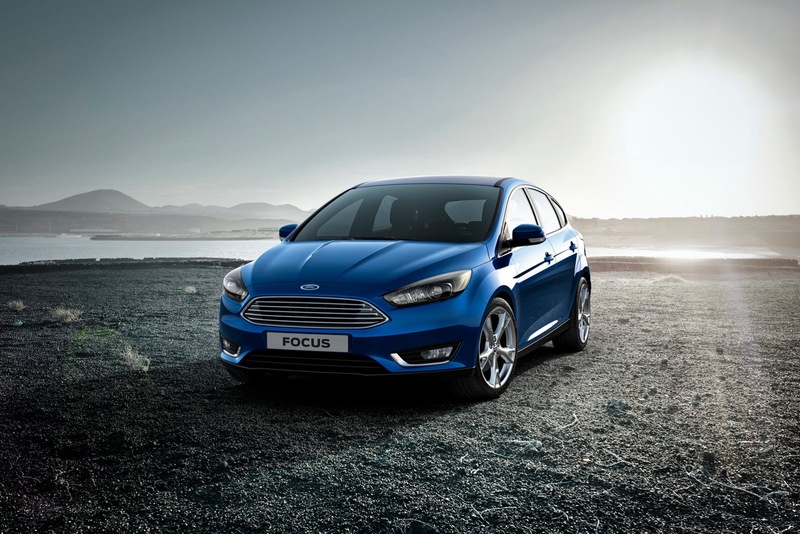 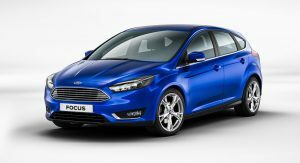 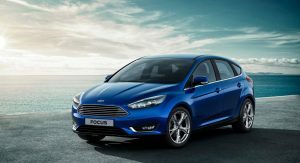 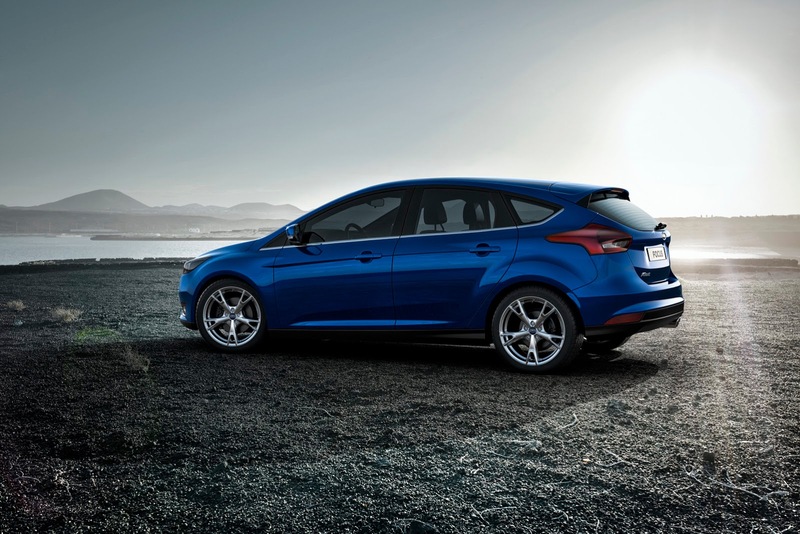 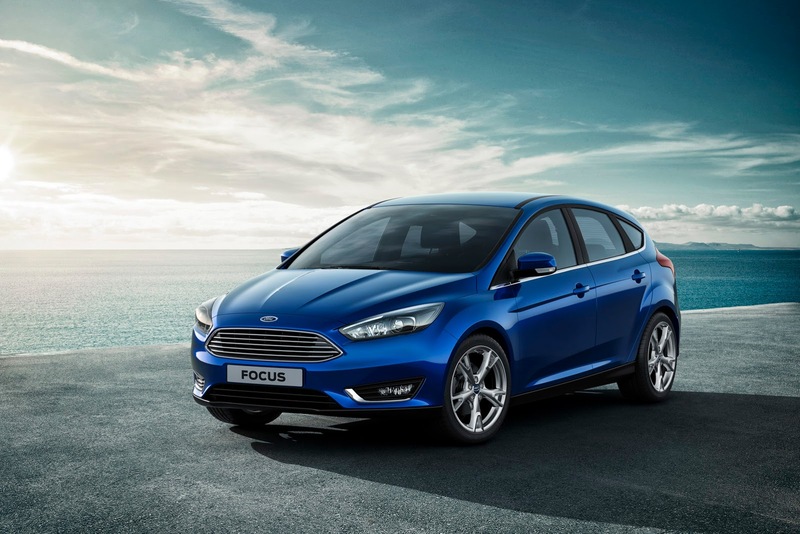 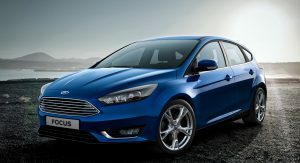 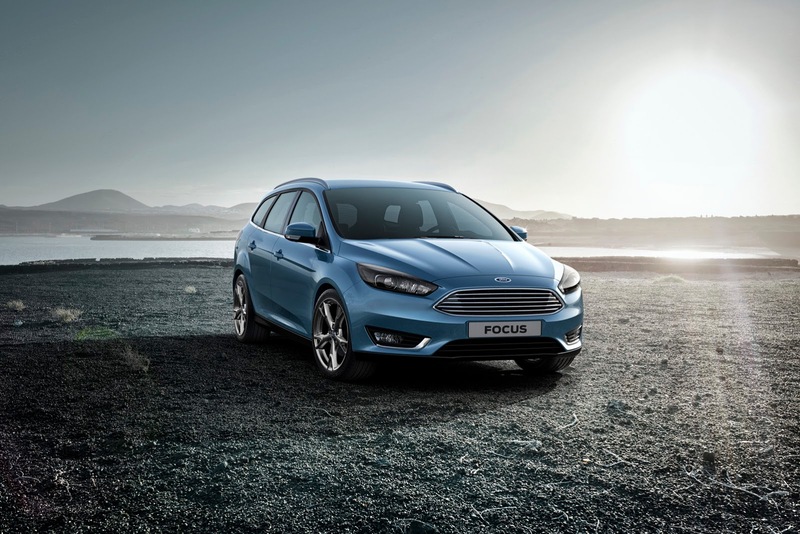 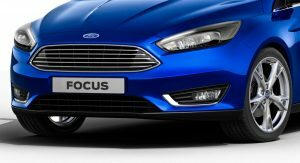 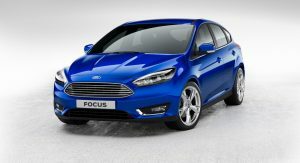 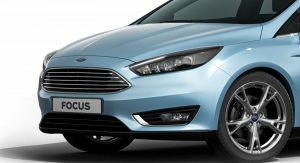 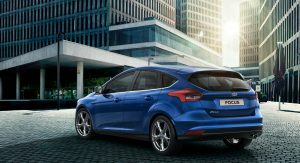 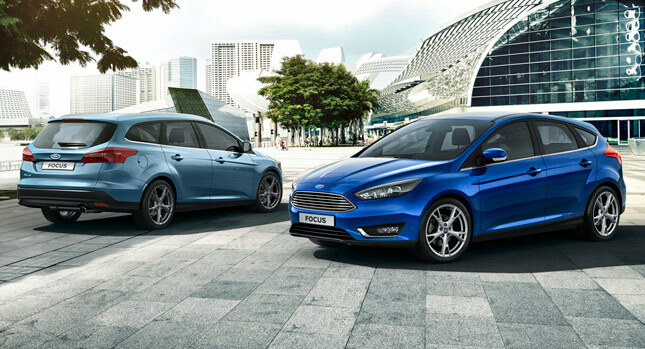 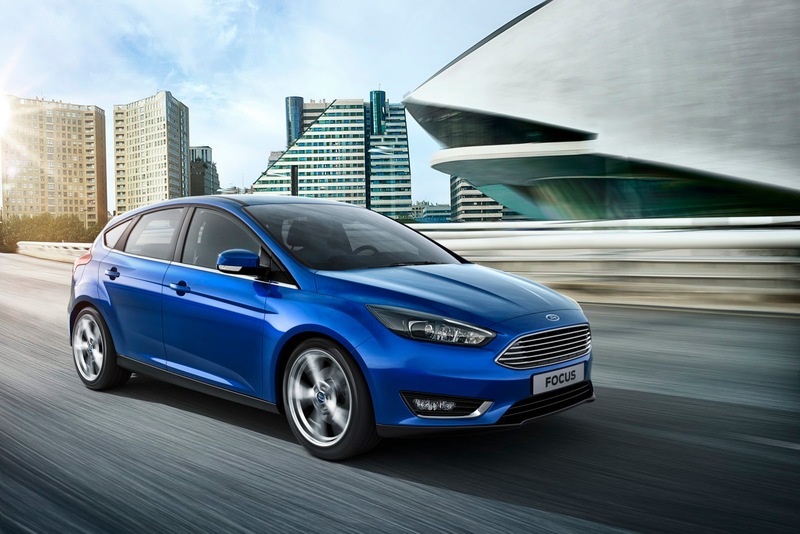 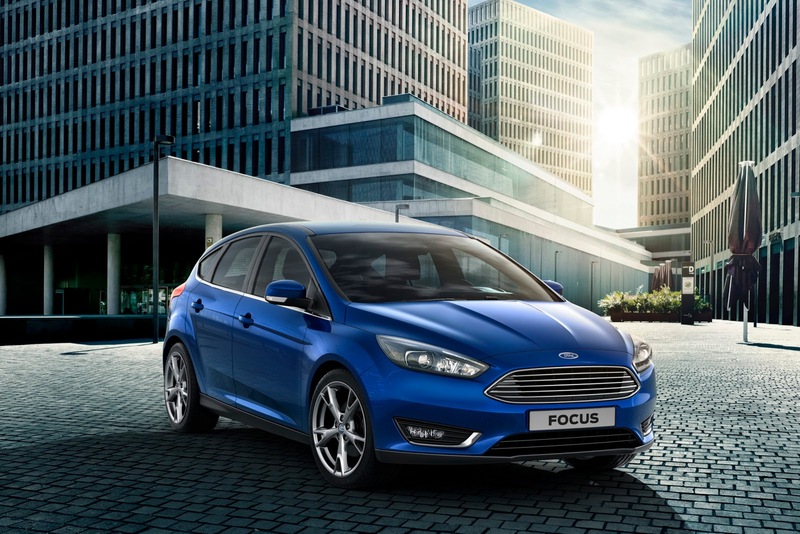 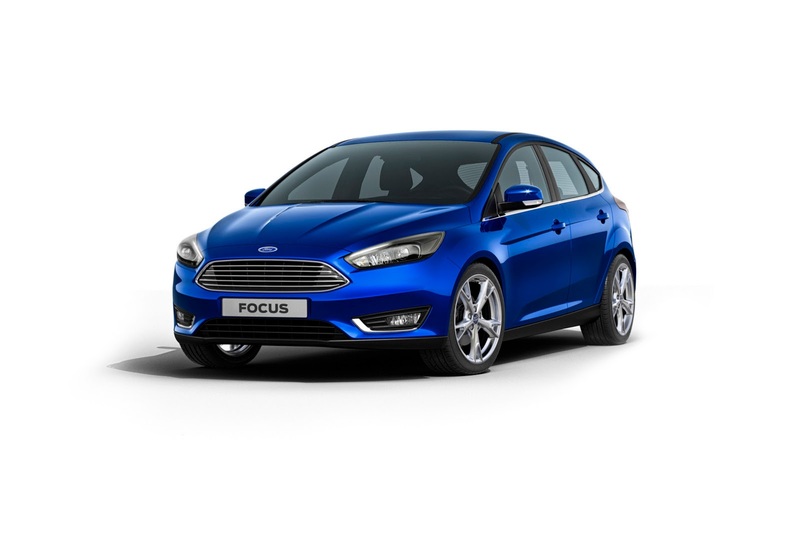 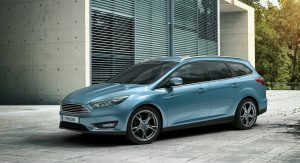 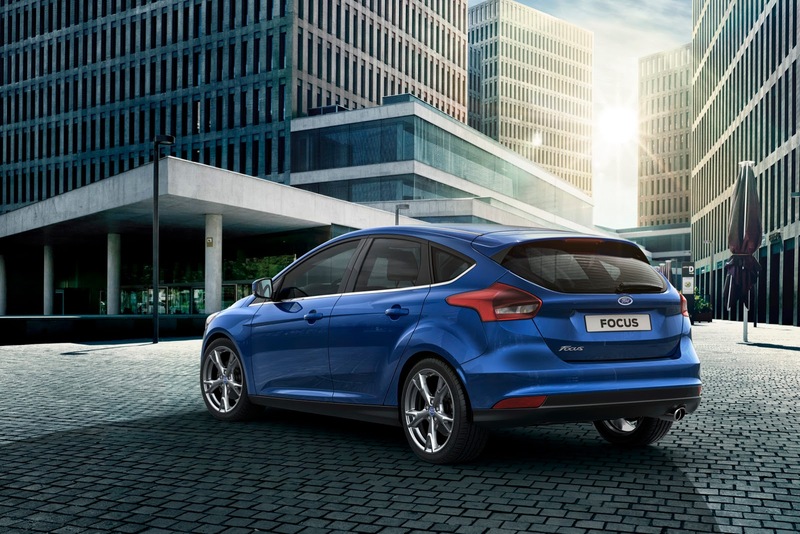 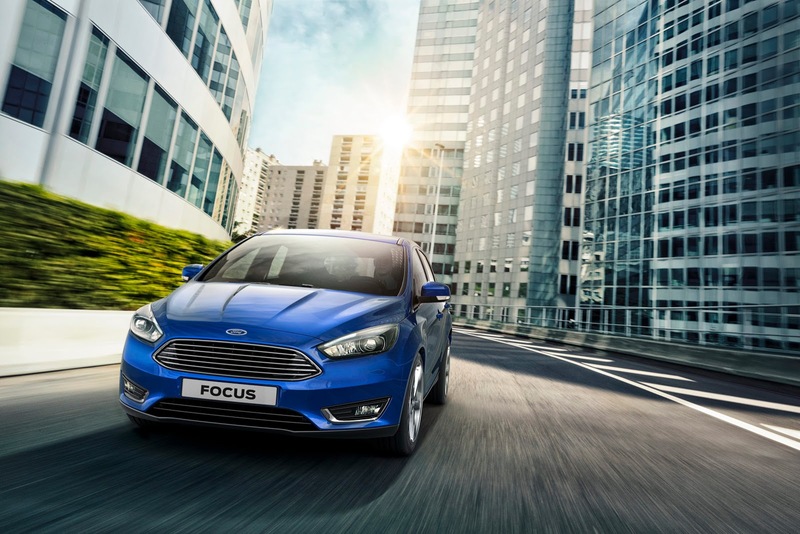 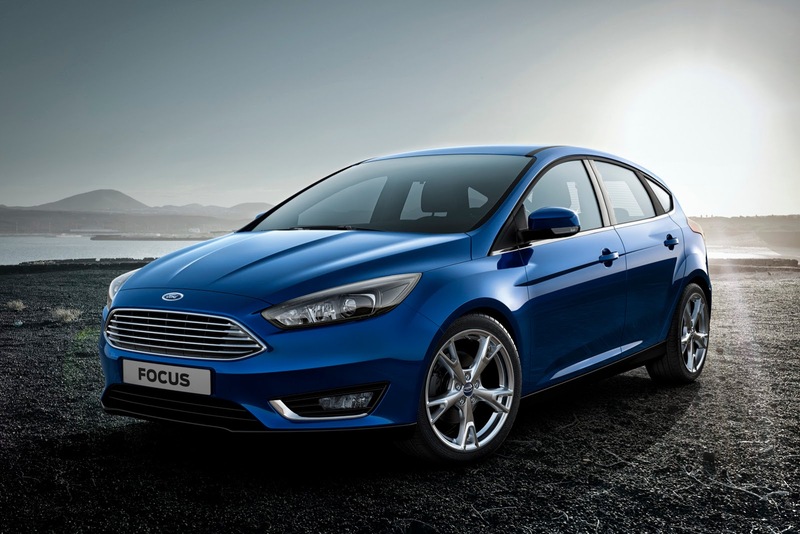 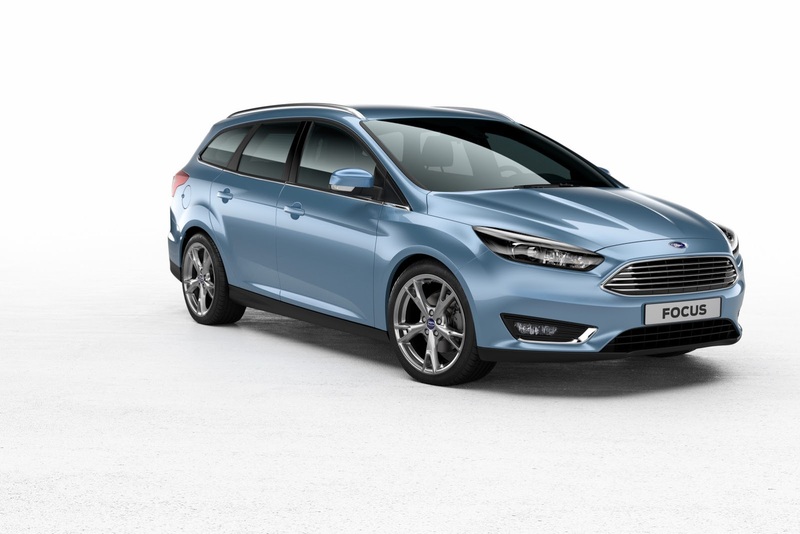 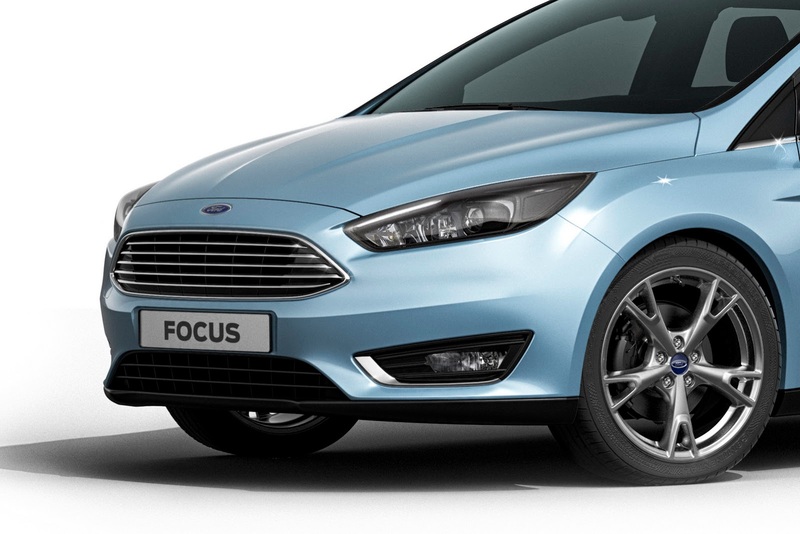 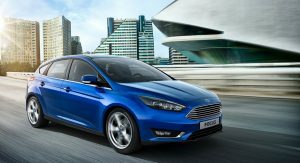 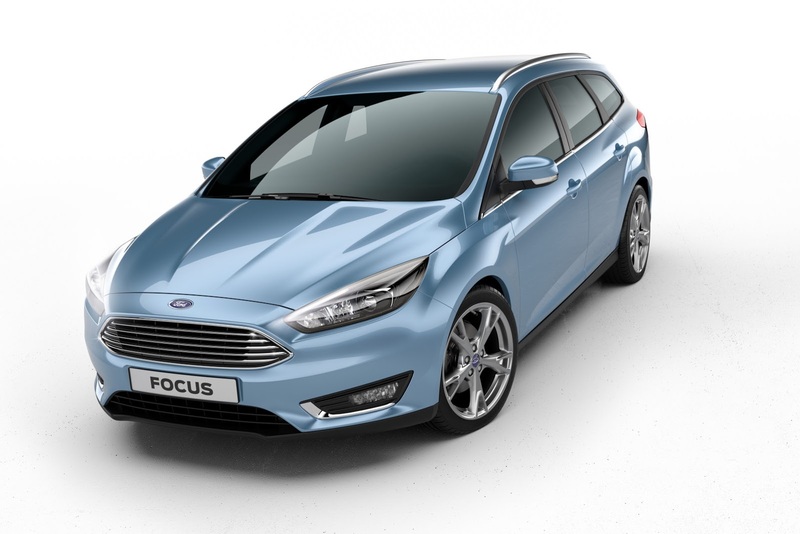 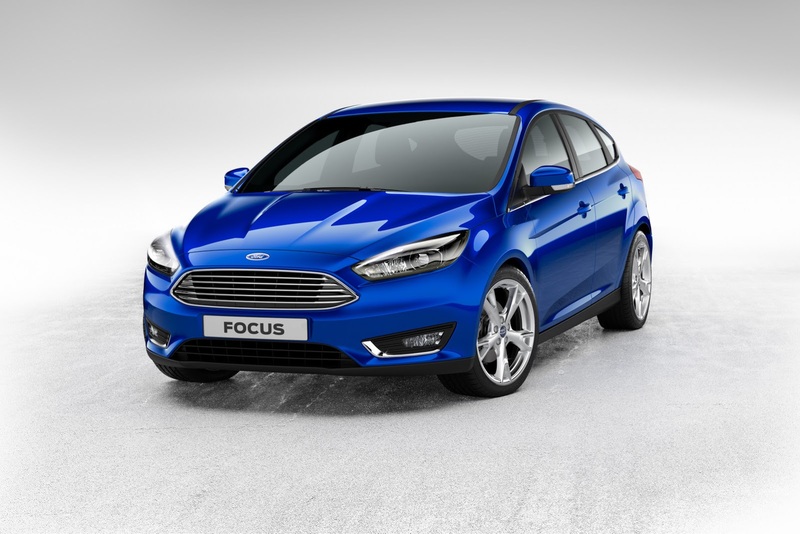 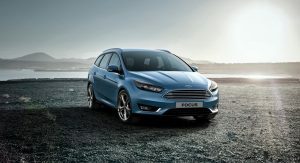 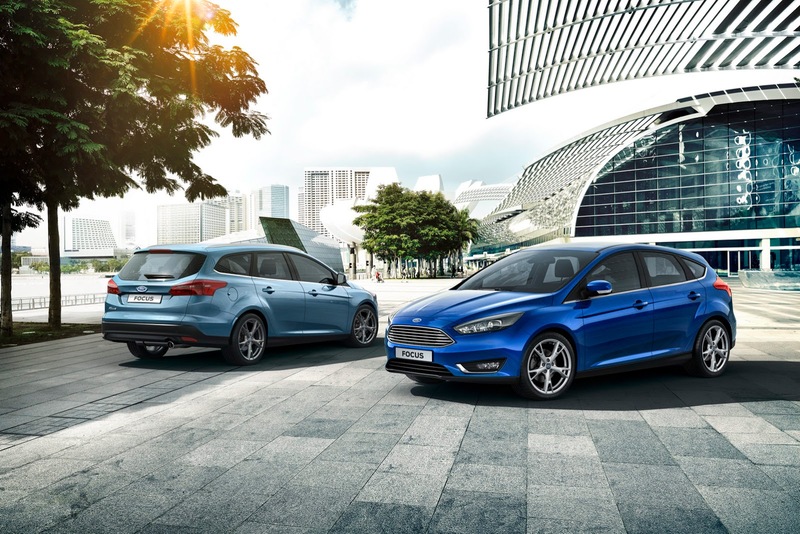 The prominent six-point grille (the chromed bars will be offered on higher-grade trims) works together with sharper looking and slimmer headlamps, a re-profiled hood and a new bumper on the front to give the Focus an appearance that’s in line with the brand’s other models like the Fusion (next Mondeo). 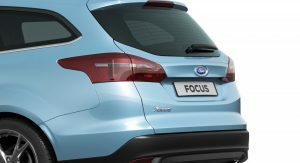 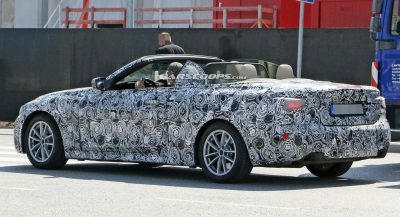 At the rear, there are thinner lights with different graphics as well as a new bumper and tailgate. 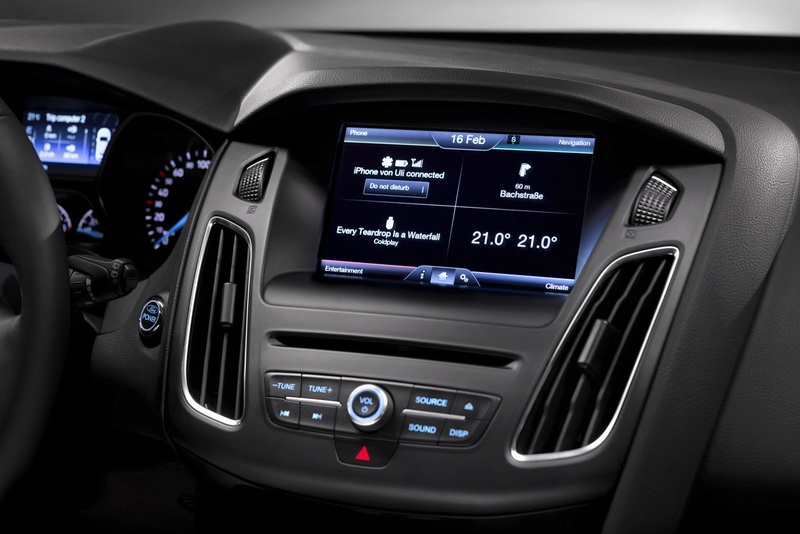 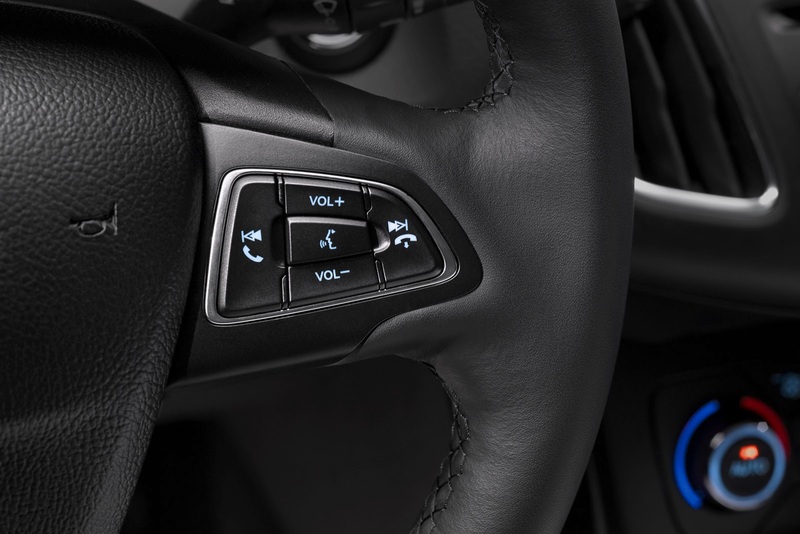 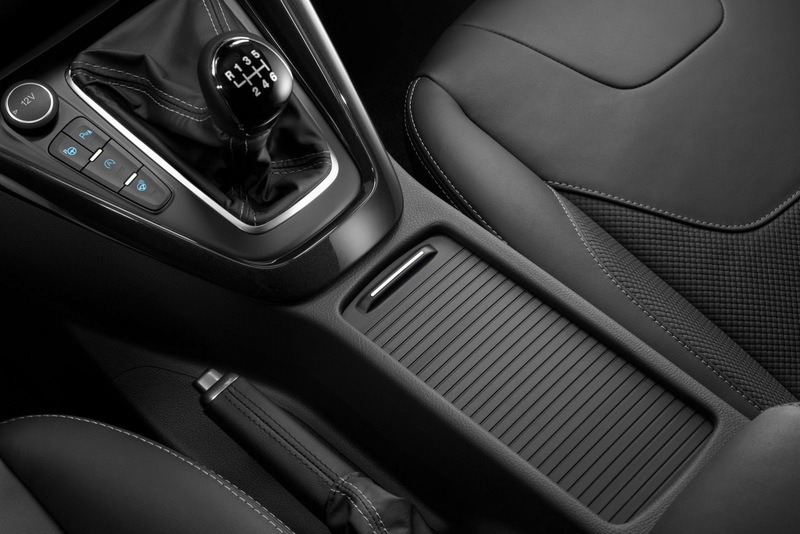 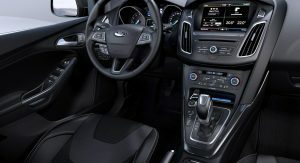 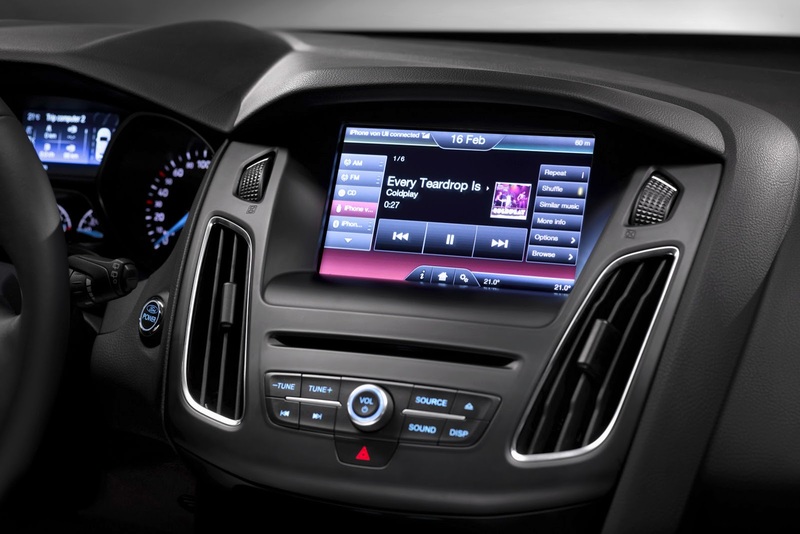 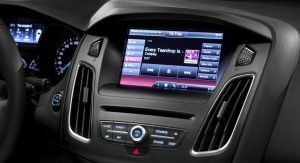 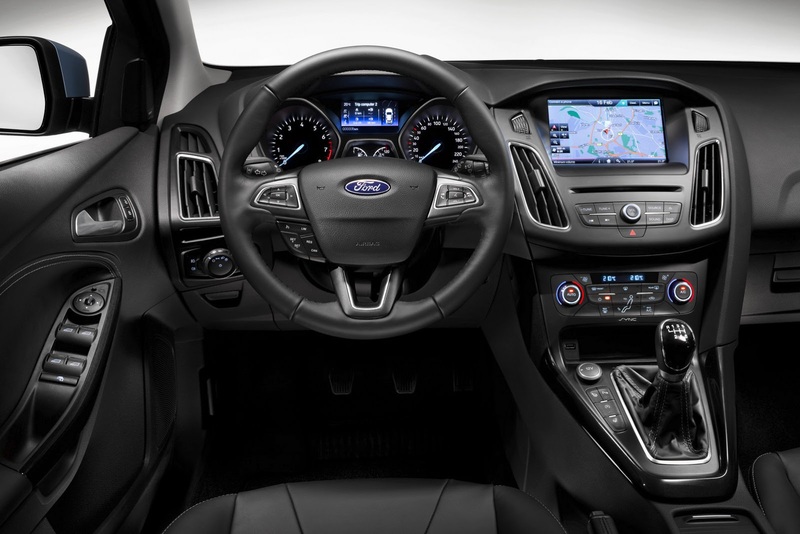 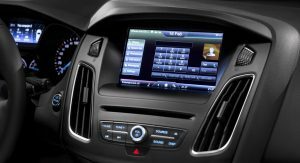 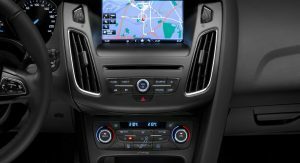 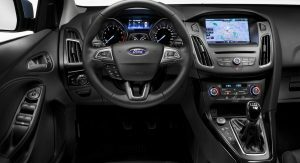 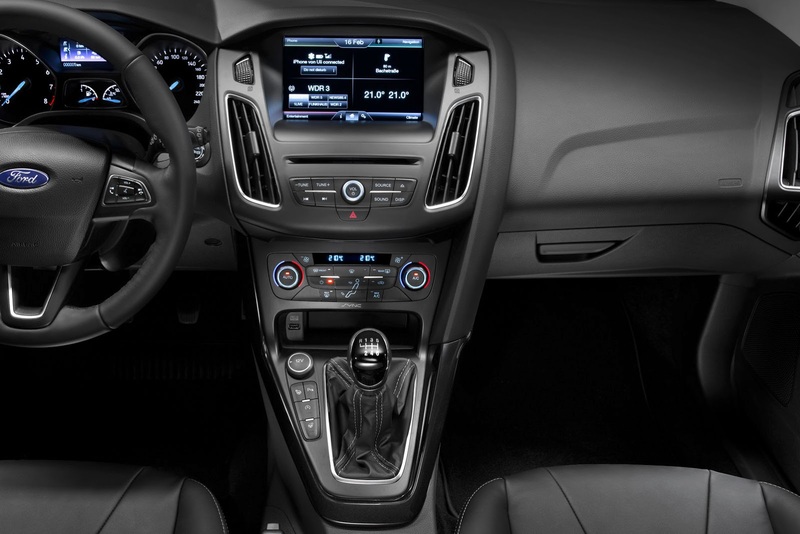 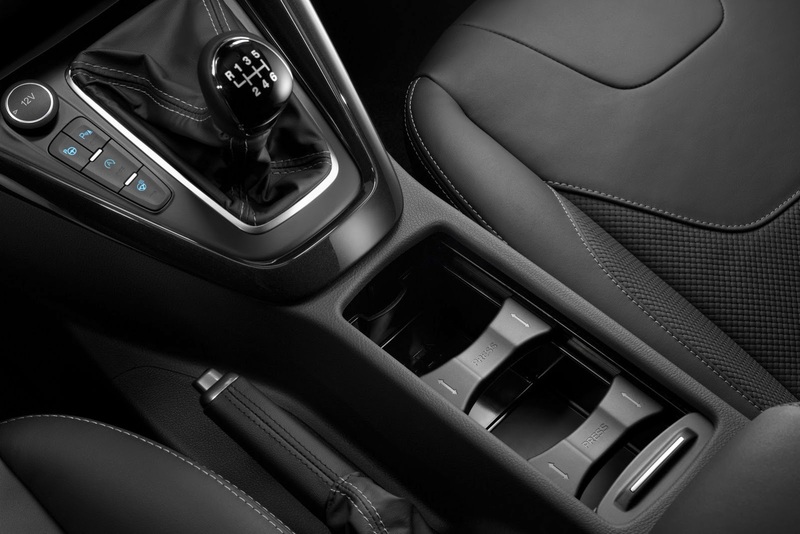 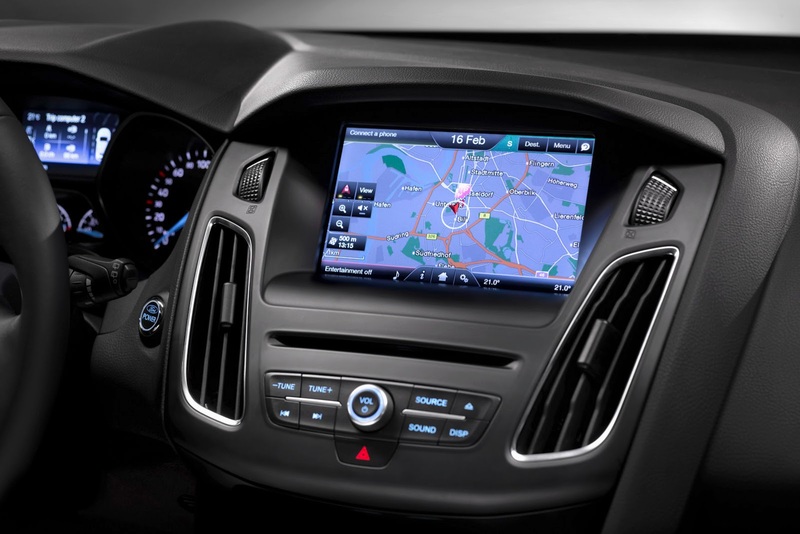 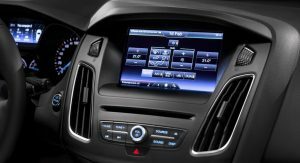 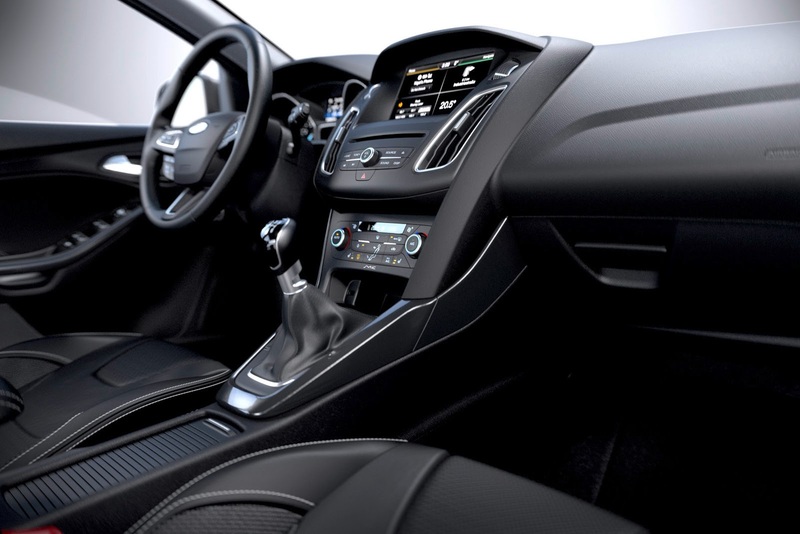 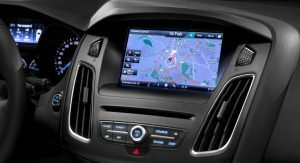 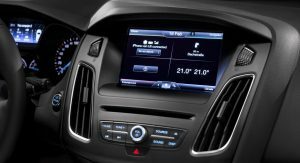 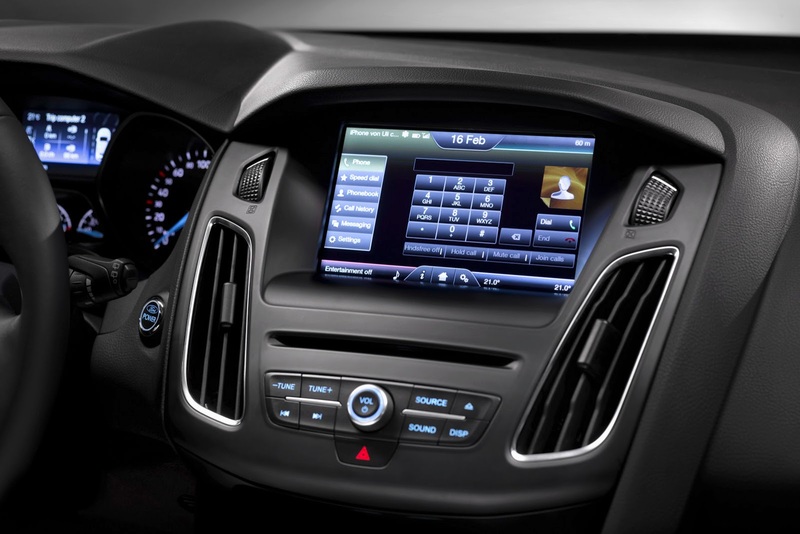 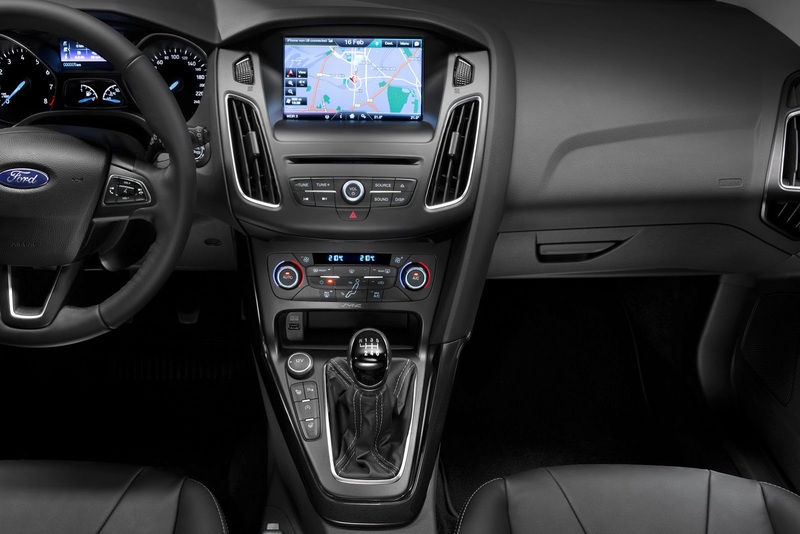 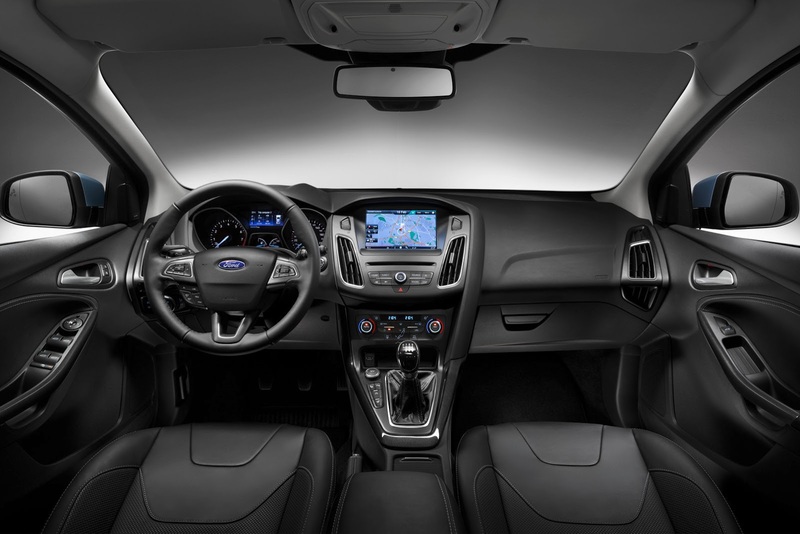 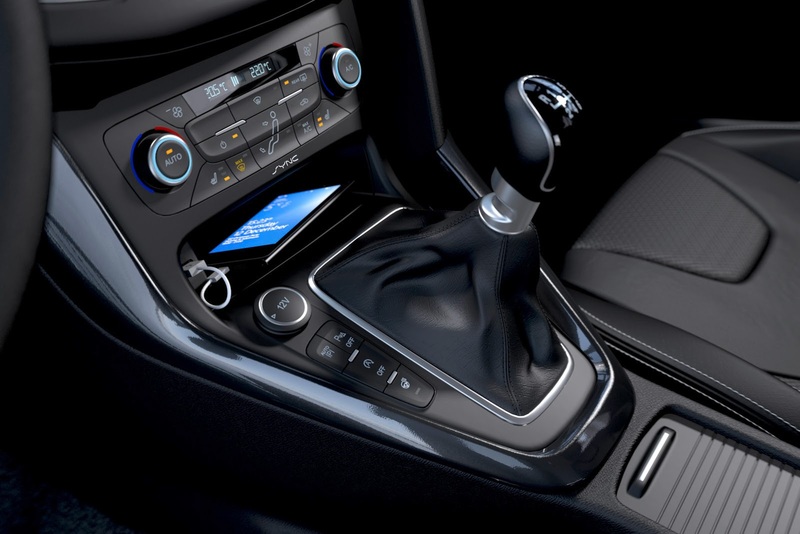 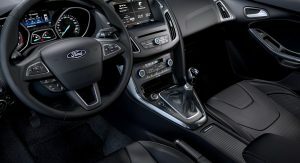 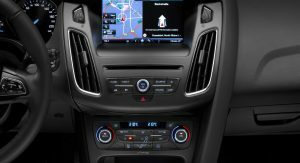 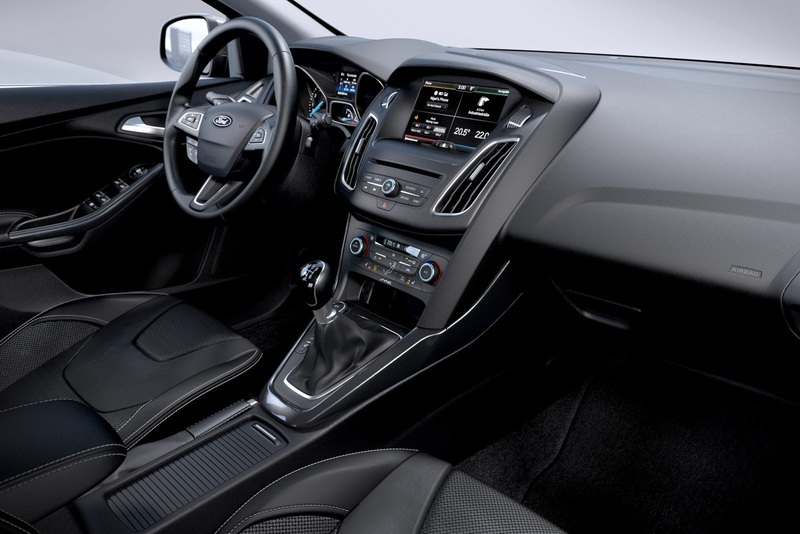 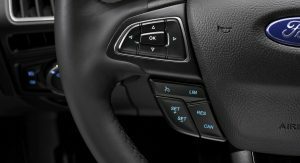 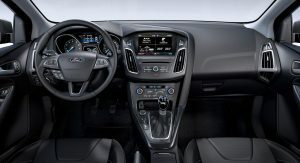 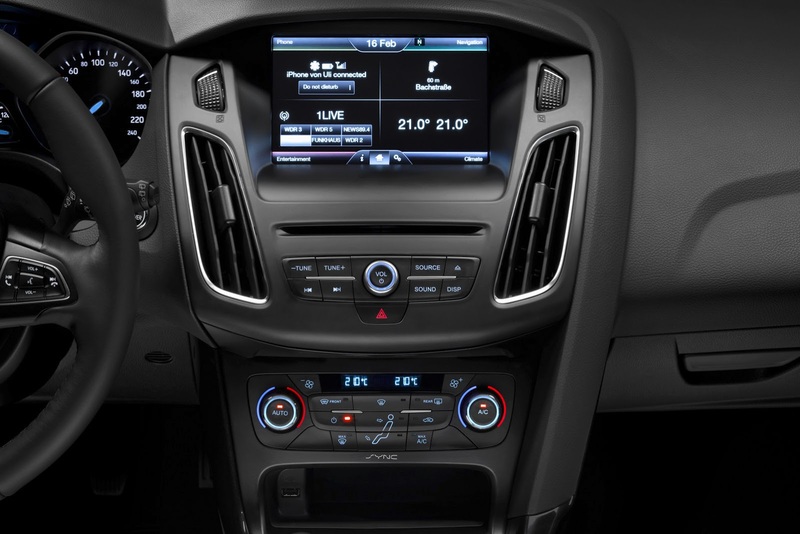 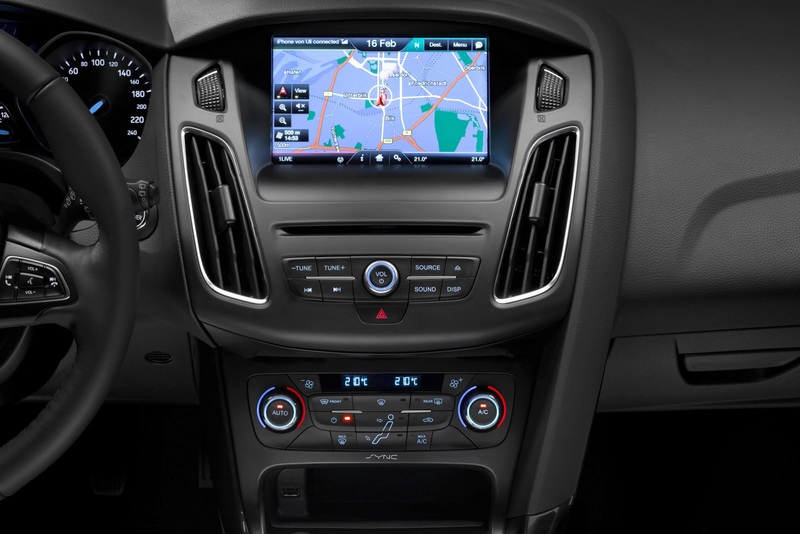 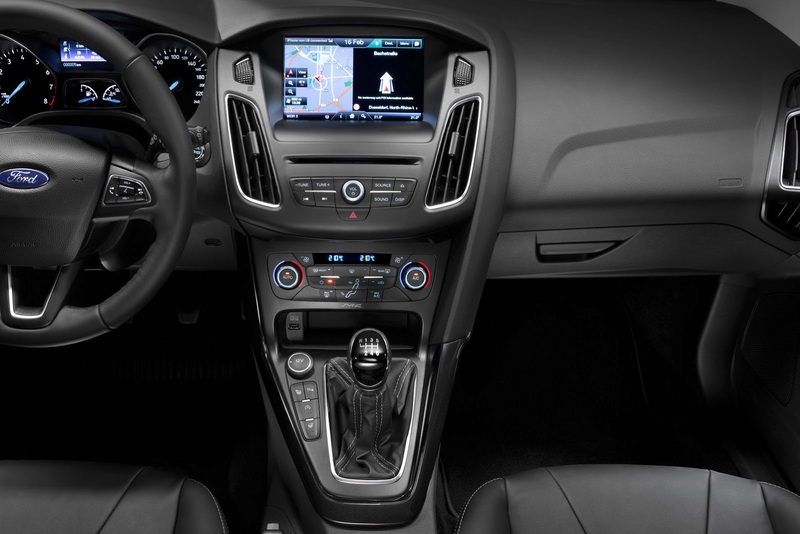 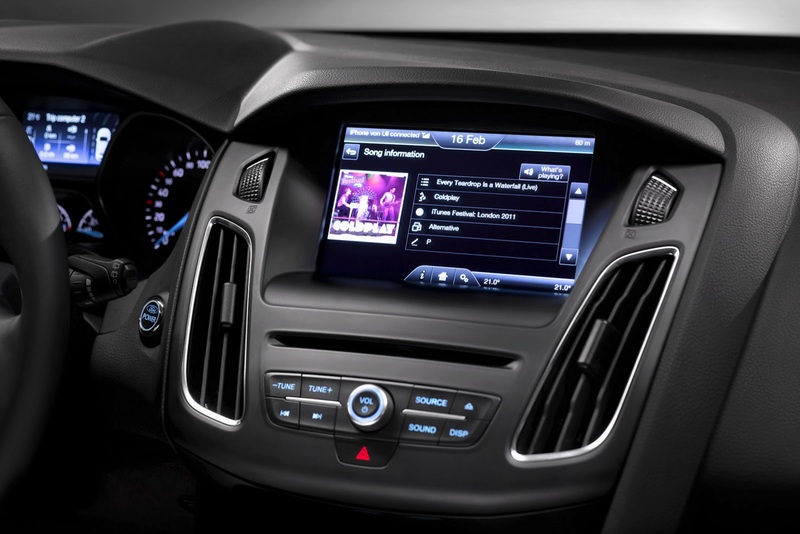 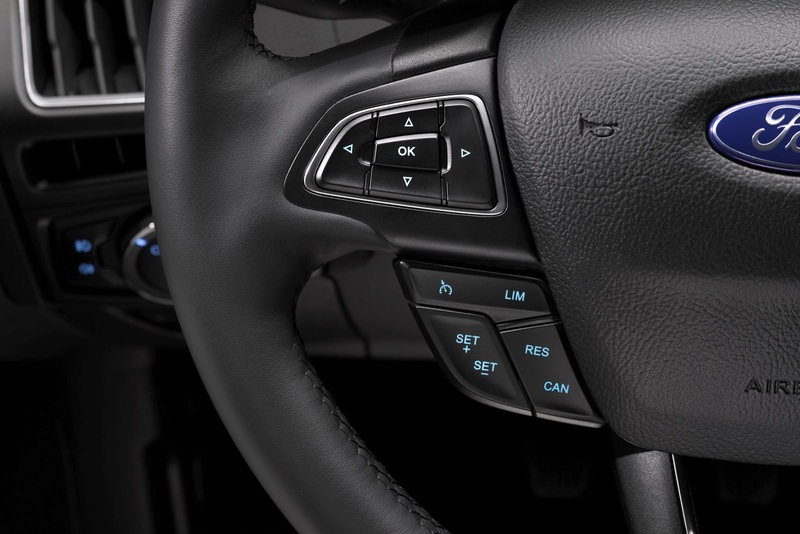 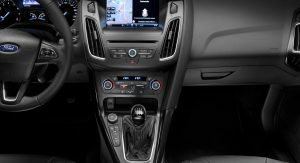 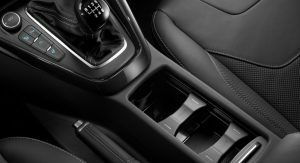 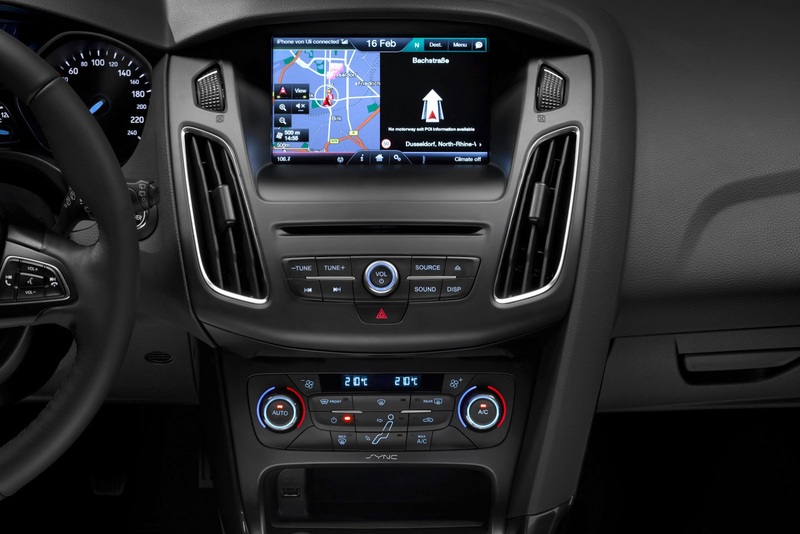 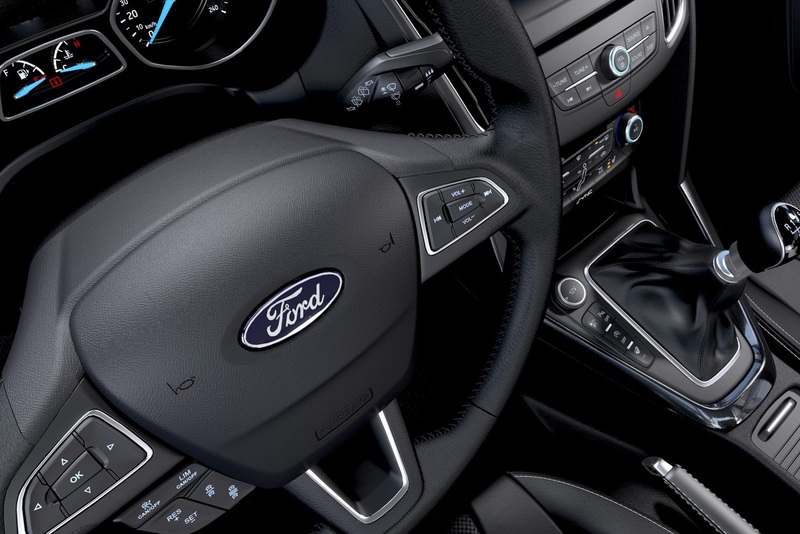 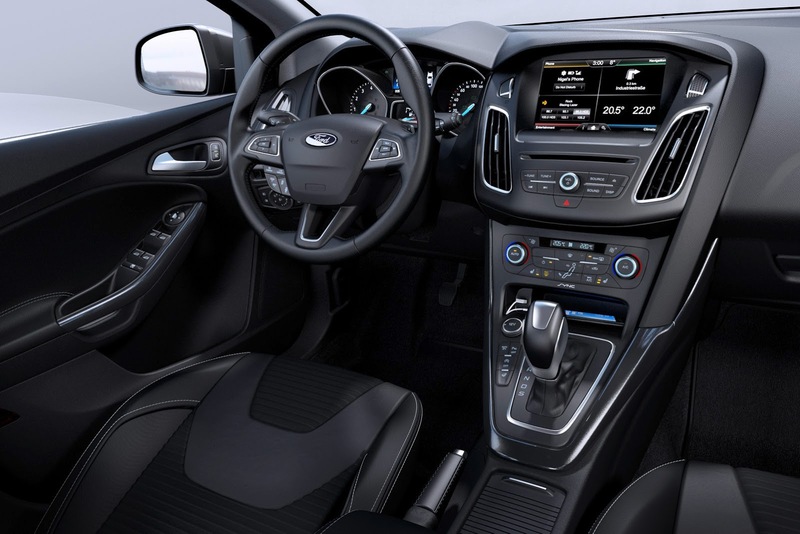 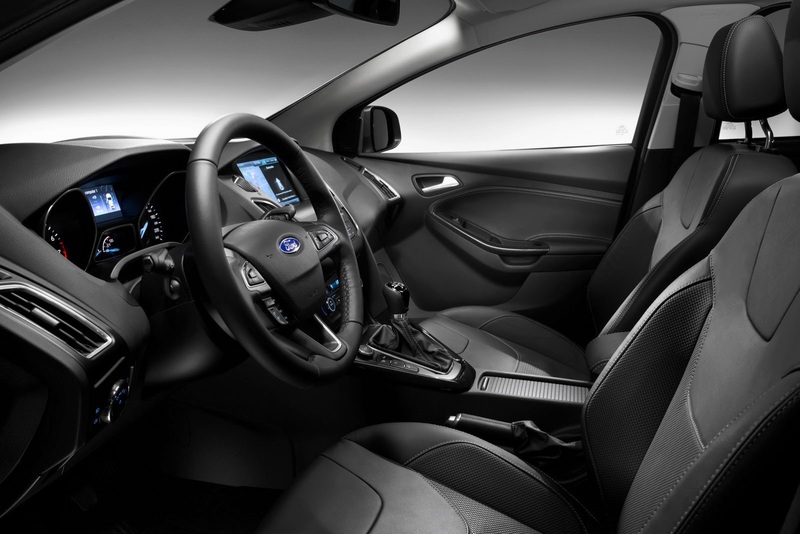 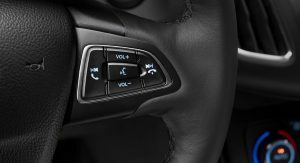 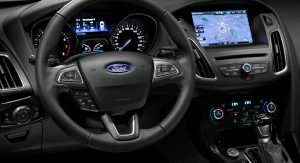 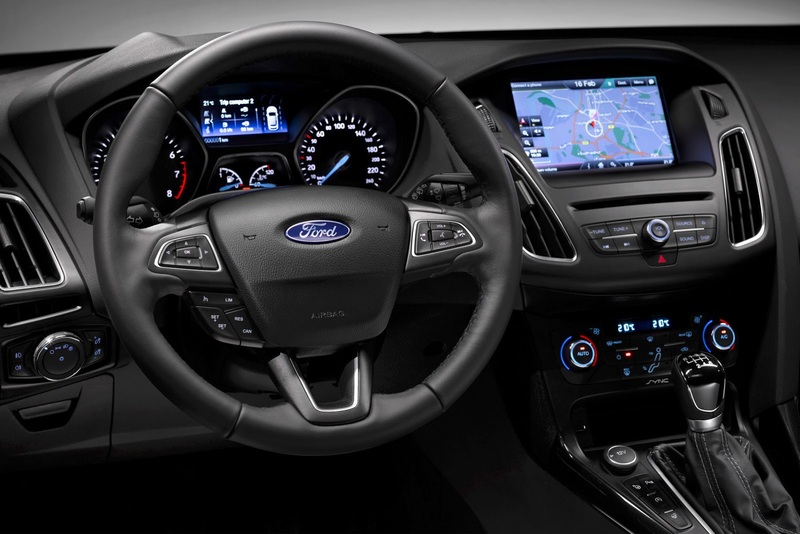 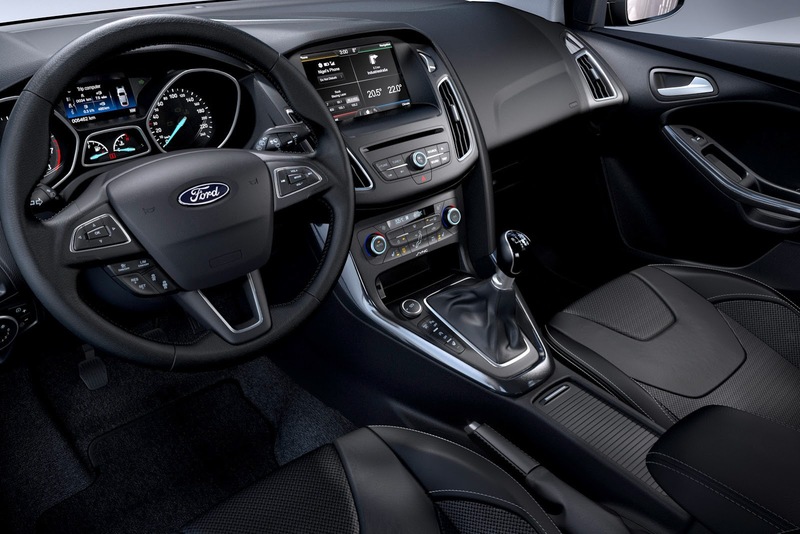 Inside, Ford says it listened to consumer feedback and made changes to improve ergonomics, both physical, by redesigning the steering wheel and center stack that comes with fewer controls and switches, and in terms of software with the introduction of a new SYNC 2 in-car connectivity system with a high-resolution 8-inch touch screen that features a cleaner interface. 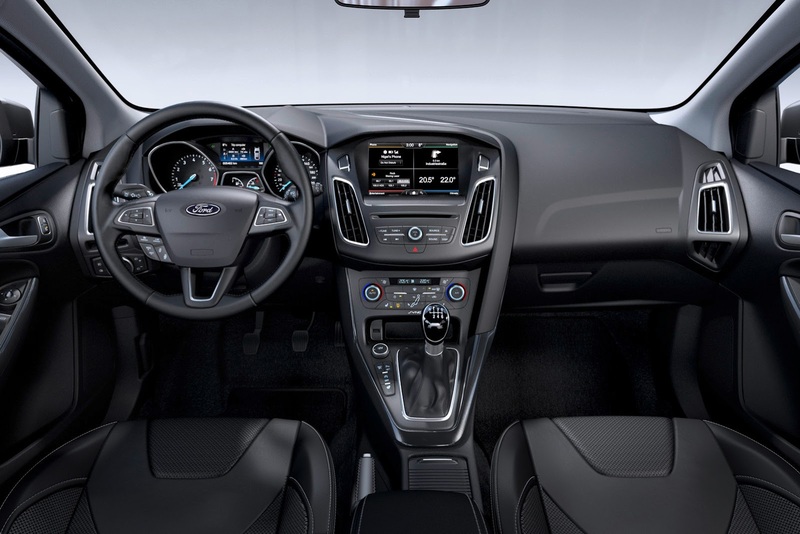 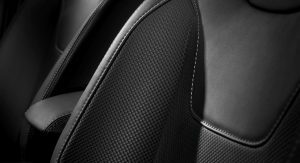 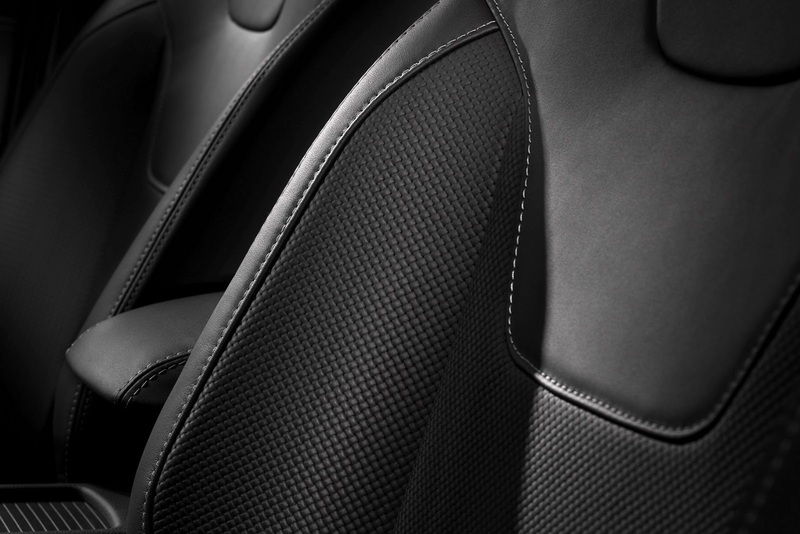 Other updates to the interior include the new and adjustable center storage console and a black satin trim and chrome detailing for the dashboard and door trims. 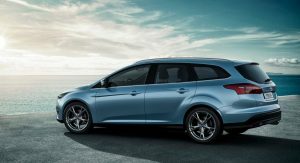 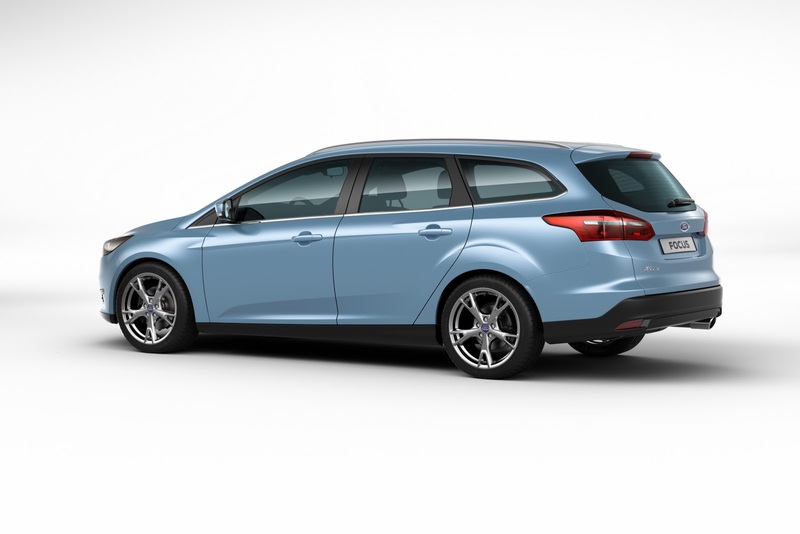 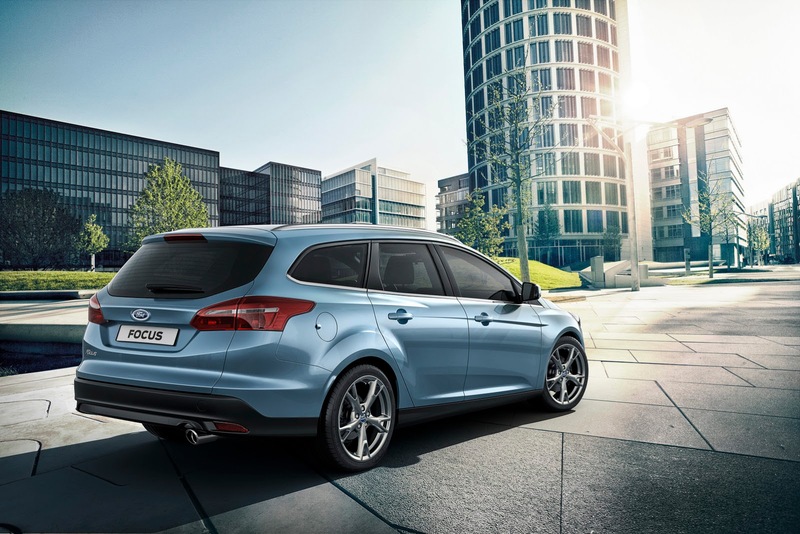 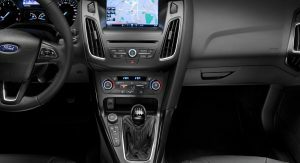 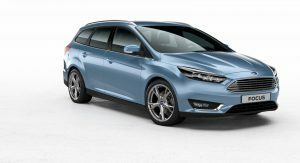 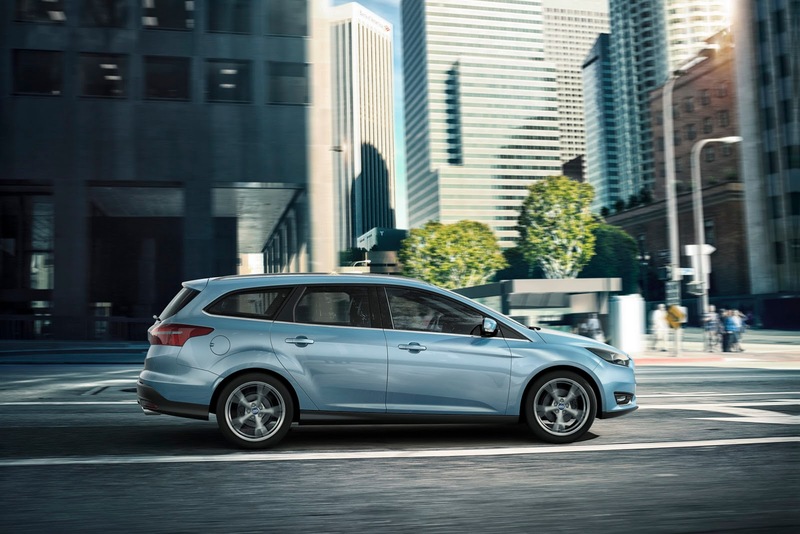 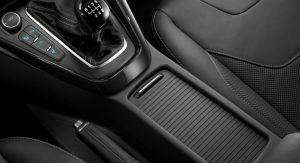 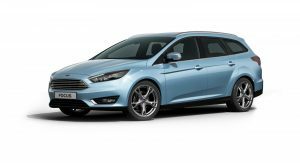 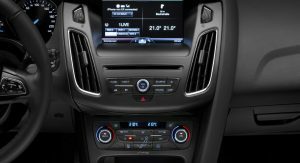 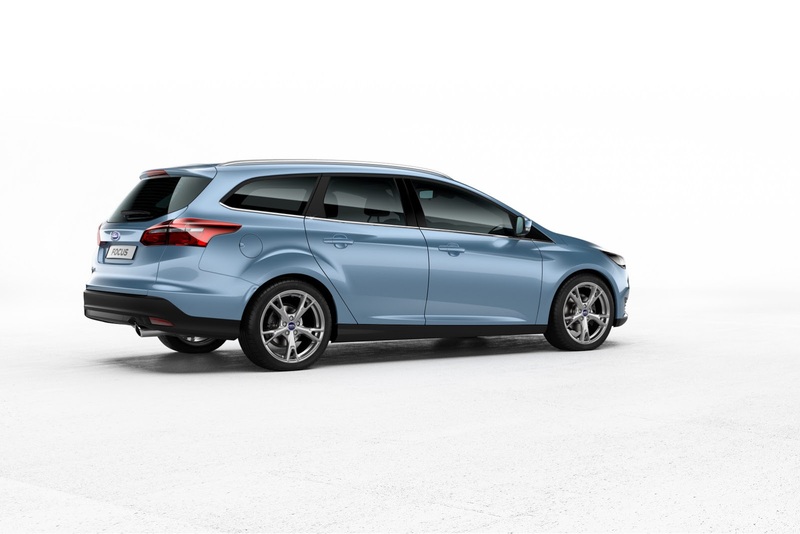 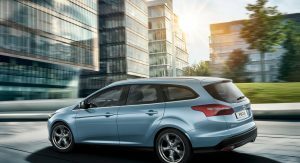 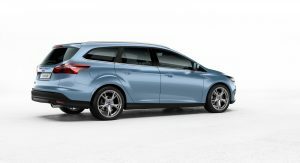 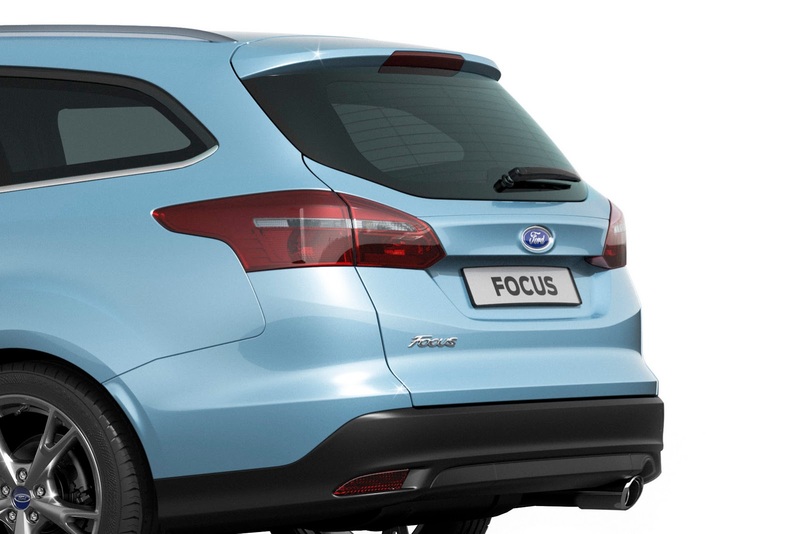 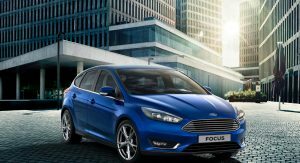 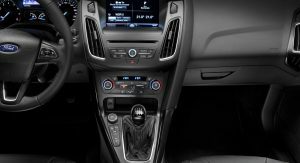 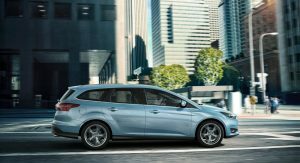 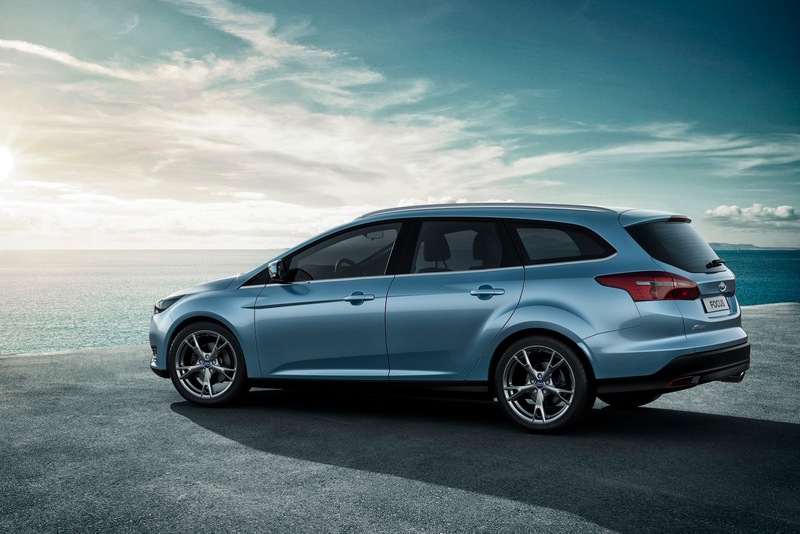 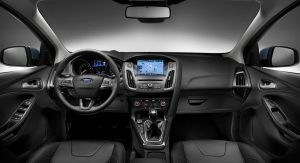 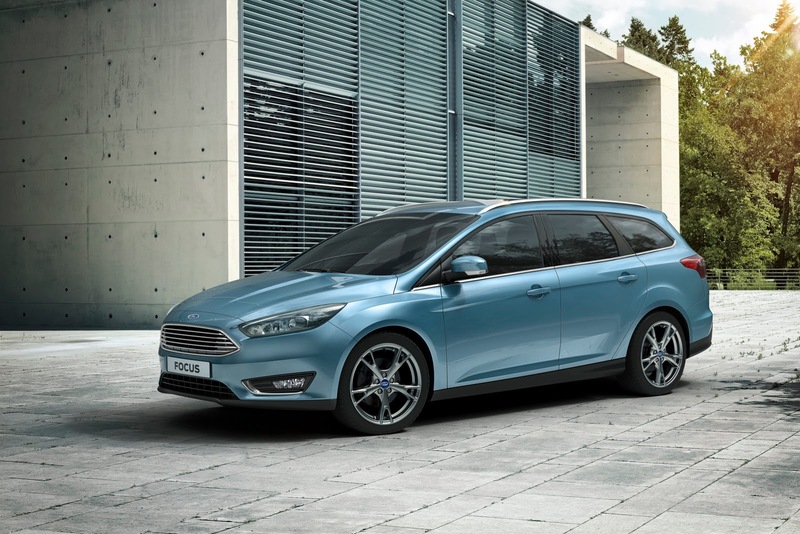 Ford also promises a quieter ride achieved through the use of denser carpets, thicker side window glass, and enhanced engine insulation. 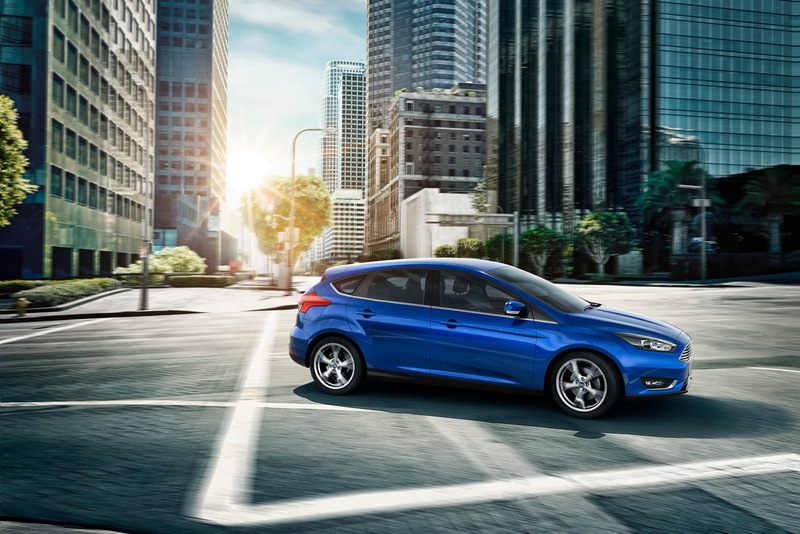 Speaking of the engine bay, the updated powertrain line-up for Europe includes a new 1.5-liter EcoBoost petrol engine available in two outputs, with 150PS (148hp) and 180PS (178hp), and the new 1.5-liter TDCi diesel engine also offered in two versions, with 95PS (94hp) and 120PS (118hp). 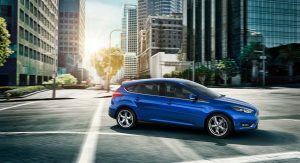 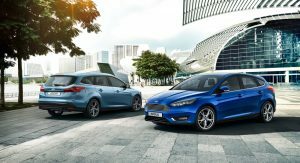 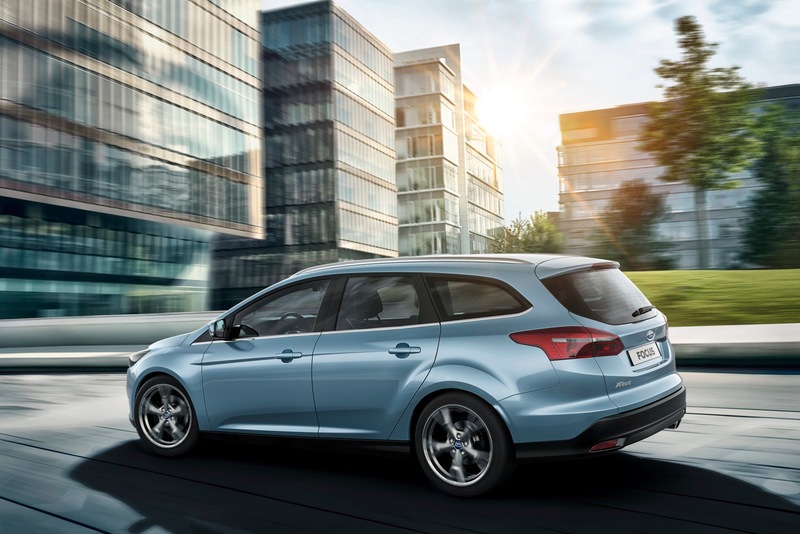 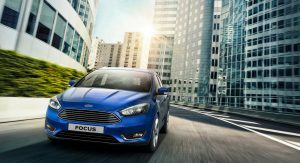 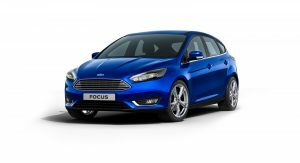 Ford added that it will offer a new version of the 1.0-liter EcoBoost, which it says, will be “the first non-hybrid petrol family car in Europe to offer sub-100 g/km CO2 emissions”, while changes made to the 150PS (148hp) 2.0-liter TDCi diesel have resulted in a 14 percent improvement when specified with a manual and 13 percent with an automatic over the previous versions of the same unit. 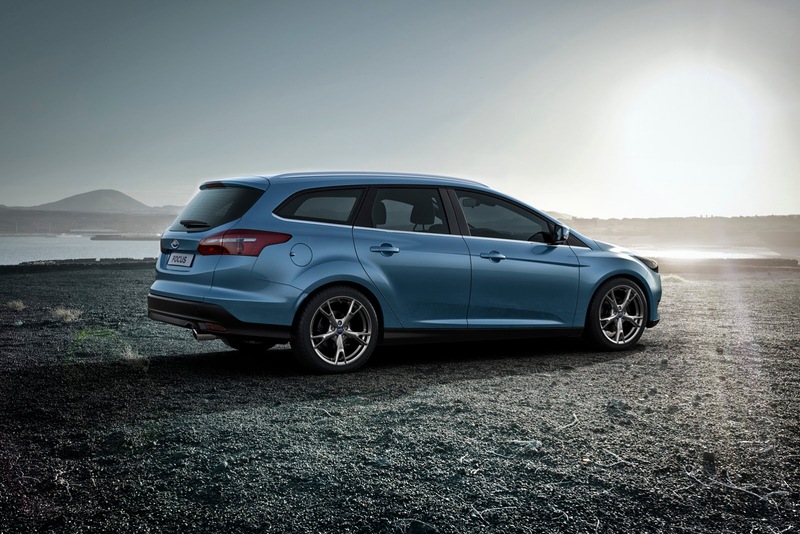 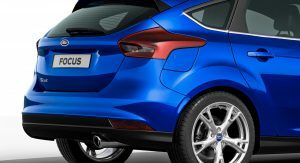 Moving on to the chassis, the Blue Oval claims to have enhanced the compact model’s driving dynamics through a series of improvements that include a stiffer front end, revised suspension, retuned shock absorbers, Electric Power Assist Steering and new Electronic Stability Programme. 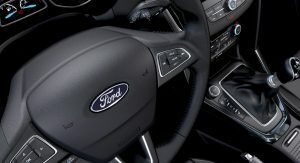 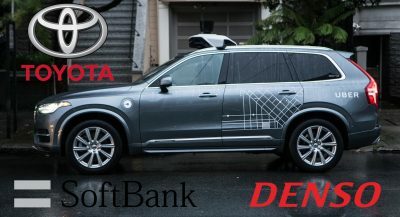 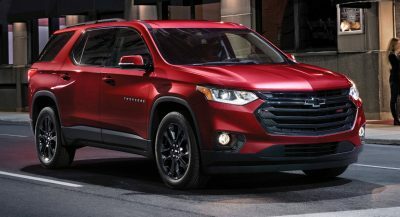 Wrapping up the changes for the new model year, is a new hands-free parking technology dubbed Perpendicular Parking that “helps drivers reverse into spaces alongside other cars”, the introduction of the Pre-Collision system in Europe and an improved version of the Active City Stop collision avoidance system that now operates at speeds of up to 50 km/h (31mph) instead of 30km/h (19mph). 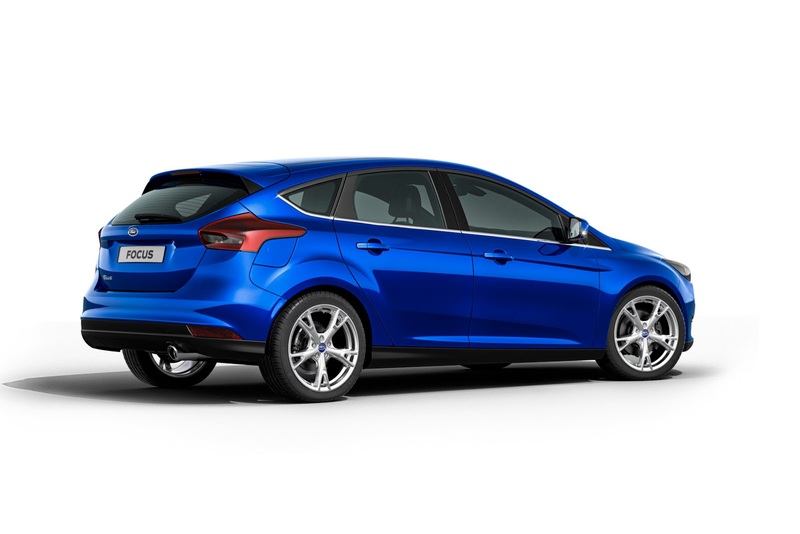 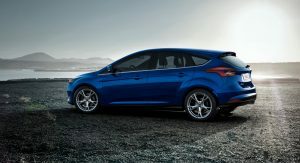 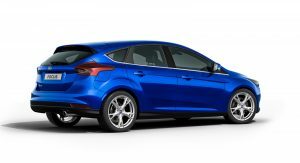 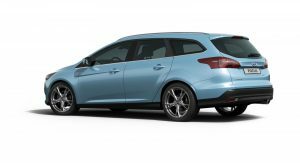 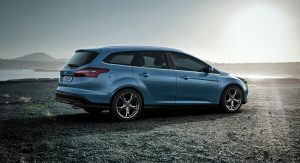 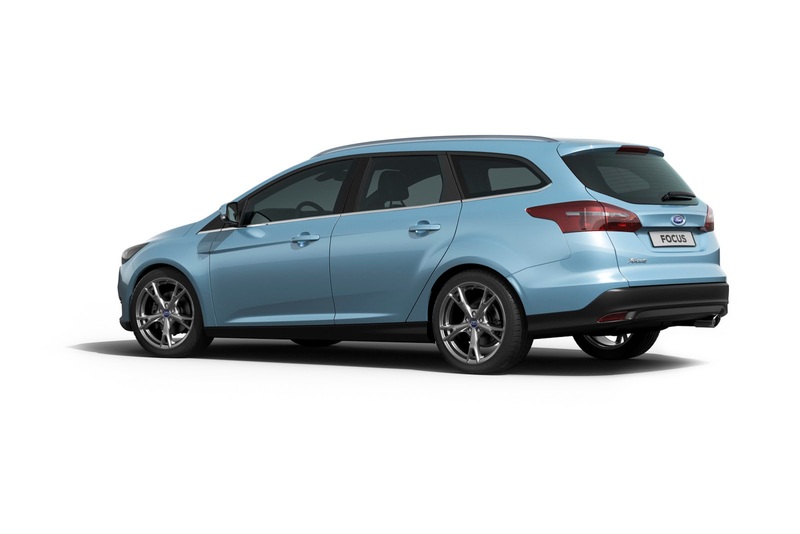 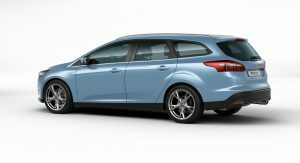 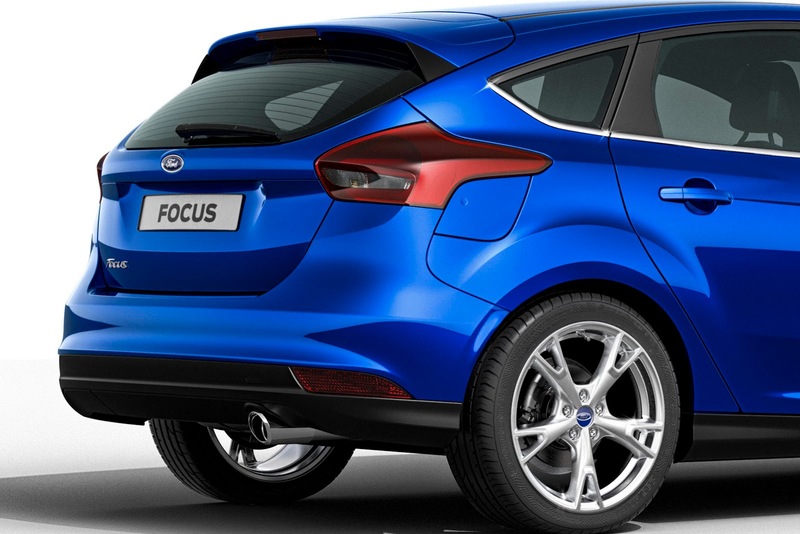 Ford didn’t share any information on the refreshed Focus ST series, but it should follow soon, while there has been plenty of talk / rumors about a higher-performance RS version as well.